Organizations have always focused on business process re-engineering to improve process efficiency and gain competitive edge. For more than a decade, BPM (Business Process Management) has been leveraged for its capabilities to bring innovations in areas such as case management, event processing, business rules, and integration mechanisms and to improve existing business processes having complex workflows. But, these processes rely on data that floats between fragmented information systems. Moreover, creation and modification of the data in such information systems often happen outside of an organization. Blockchain is a revolutionary approach to address trust between two parties exchanging assets and to answer interoperability and transparency issues in fragmented systems. Let’s first understand basics of the blockchain technology and how it can be leveraged to improve business processes using the Bizagi Platform. Blockchain is a shared and encrypted distributed ledger that allows transactions to be fully verified on both sides of any exchange. This can make it much easier to build ecosystems around business processes that require multiple trading partners representing various business and personal interests. Now, let’s talk about how organizations can leverage Blockchain technology in an agile and easy way using Bizagi’s digital business platform. Let’s look at an example of a simplified purchase request process modelled in Bizagi, whose workflow integrates blockchain services to check the balance in an account and eventually complete a payment. A requester submits a new purchase order specifying the order details in the Bizagi platform which triggers a blockchain request to check the balance to ensure enough funds are available for the purchase. After this verification is completed, the next step is the approval of the purchase. If the transaction is approved, blockchain services will ensure that the appropriate amount is taken from the purchaser and transferred to the seller while also deducting any related fees. Now, let’s understand how the transaction is made possible in the backend. The two circled tasks in above screenshot are the integration points where Bizagi is invoking blockchain services. 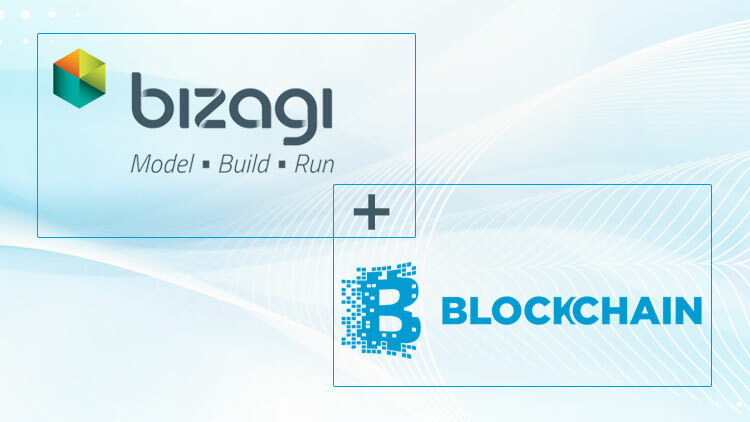 The ‘Request purchase’ task calls a blockchain service using a Bizagi connector to obtain the account balance. The data from this transaction is returned and mapped into the Bizagi data model so that the balance can be compared to the purchase order amount to verify that enough funds are available. The ‘Make purchase’ task uses a blockchain service to process the transaction itself by transferring the correct amount from one account to another and returning a success or failure message to Bizagi. There are many use cases that combine the use of blockchain with business process management software. For example, Blockchain can be used to eliminate process delays and deficiencies of an auto-accident claim process that involves multiple parties. The quality of the process can be improved significantly by providing a means to prevent the use of outdated or inaccurate data within the process. PS: Nividous is sponsoring the Bizagi Catalyst event, happening on 16-18 October 2018 in Miami, Florida, USA. Our executive team will be happy to meet with you at your request.